No history, no legend, no racing trophies, just unadulterated luxury. You buy it because you want it. It’s a luxurious car in the purest sense, but sold without any explanations for its existence. Not only that, you buy one at your local Hyundai dealer! No separate upmarket dealer network, with pretensions to exclusivity, like Lexus. Now that’s Hyundai either being pragmatic or preposterously pompous. Actually I think it’s the former. 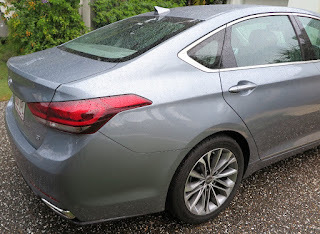 I can tell you the Genesis has those credentials, and a quick look at sales numbers from the its launch market, the USA, affirms its growing awareness, and welcome from American luxury car buyers, in the world’s toughest market for cars with premium pricetags. In 2015, year-to-date sales (at end of July) are 19,744 – versus 17,036 to end of July 2014. In Australia, YTD sales to end of July 2015 saw Genesis climb to fourth place, and a market share of 1.5%, behind Commodore, Falcon and Aurion. 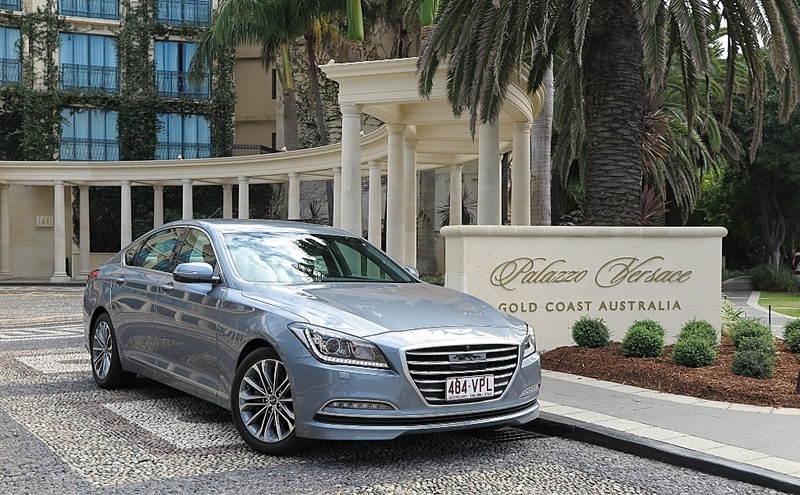 There are just over 330 Genesis sedans in Aussie garages this year. Positioning Genesis in this sector in Australia is really not a fair comparison. Its pricetag is considerably higher than its Down Under competition, because of equipment levels and the cost of development. Also, the car was primarily developed for the American market, where it competes directly with higher-grade luxury cars than Commodore, Falcon or Aurion. So I intend to treat it in that light. 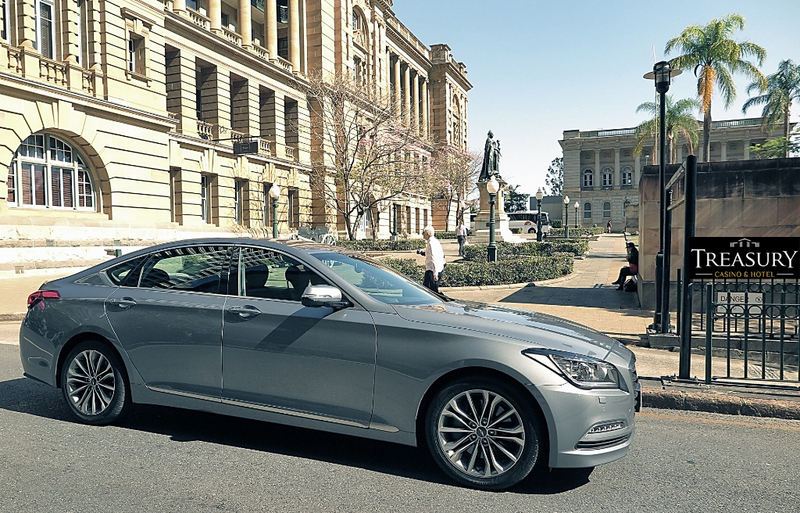 In the USA, up against Lincoln, Cadillac, Infiniti and Lexus, the Genesis is right there. 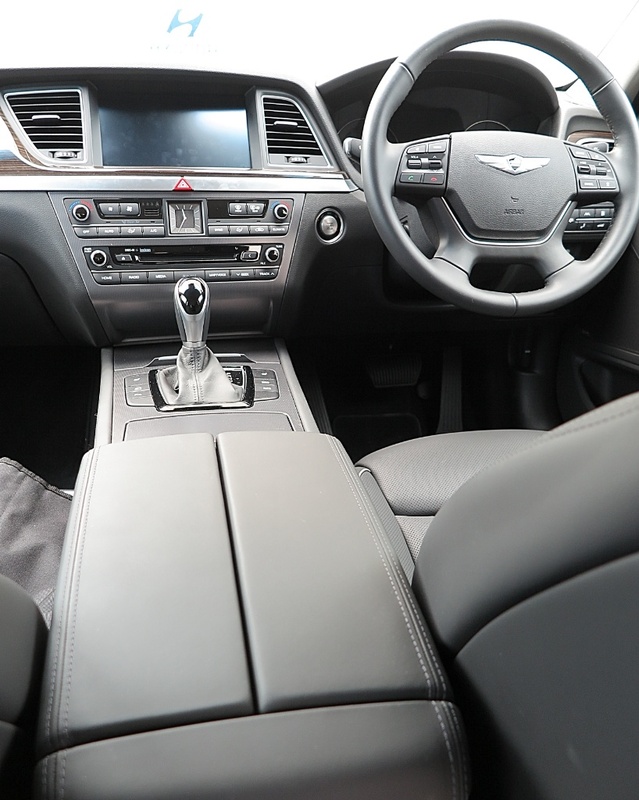 Boosted by excellent equipment levels, and the additional choice of a 5-litre V8 engine, Genesis is able to hold its own. 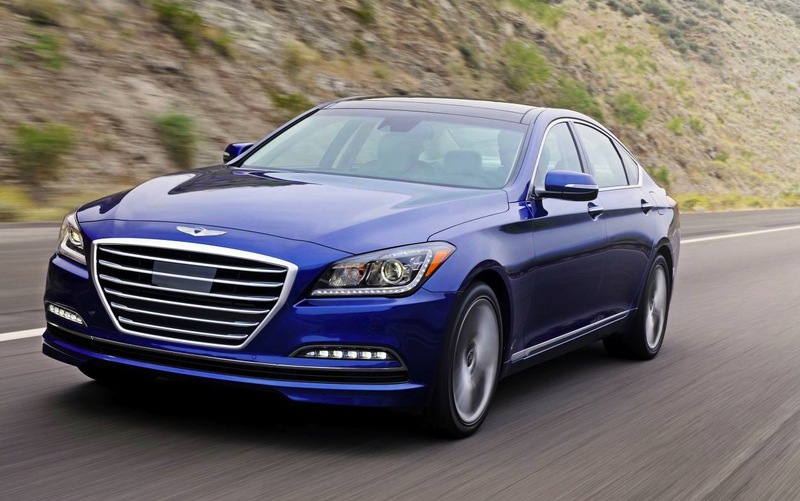 If you look at Genesis as a ‘Mark of Competence’ for Hyundai then it meets and exceeds expectations. It certainly gets a big tick from me. It is not, however, a sporty car to drive. 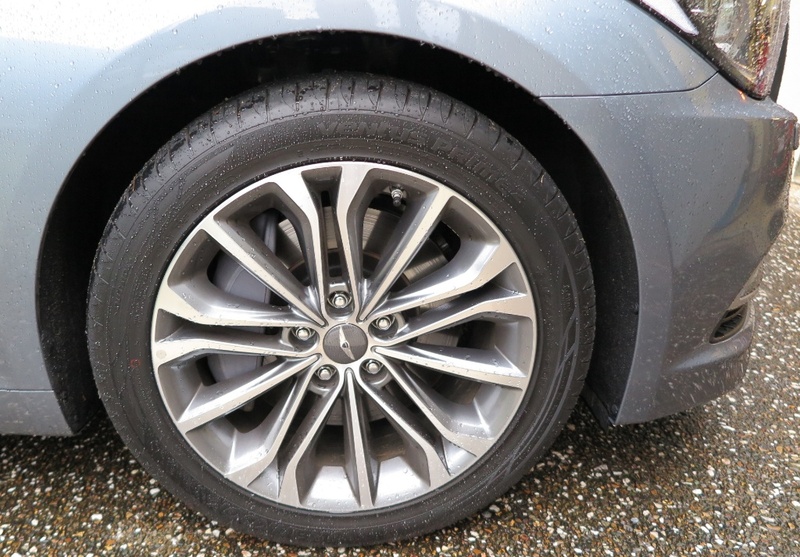 Yes, it’s competent, with a big footprint on the road (245/45 x 18 Hankook Ventu Prime 2 tyres), but it’s not a car that invites you to press on, as you might in a Jaguar or BMW. Ride and handling is fine, but rear axle location and isolation is poor, and when you’re thumping along on indifferent surfaces, you get the occasional bang from the rear end as the axle hops around. But, guess what? It was developed for smooth roads in the 50 States of America, and in that context I doubt you would ever feel a thump from the rear axle. It would never be driven that hard. 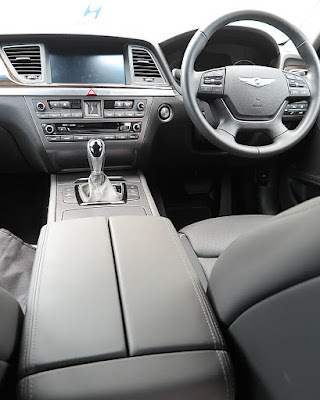 The 3.8 litre V6 engine is responsive and smooth, but delivers a throaty roar when you open the throttle. 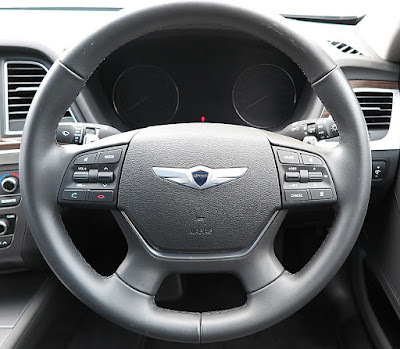 The Hyundai-made 8-speed auto however, always has the right ratio available, and on a twisty blacktop it’s a delight to drive using the paddles. Upshifts and downshifts are fast and seamless. 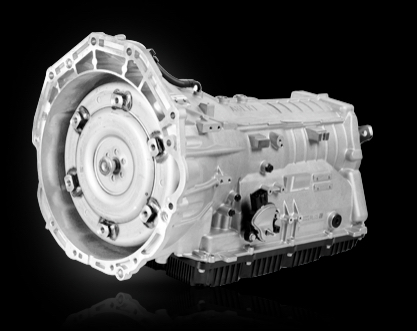 Although it's a torque-converter transmission (as opposed to dual-clutch 'transmissions-du-jour') this 8-speed is technologically very advanced boasting light weight, innovation and robust design, plus big performance improvements, compared to the previous ZF-supplied 6-speed unit. My test car car is a DH (second generation) mid-spec Genesis Sensory, priced in Australia at $71,000, which quite frankly is pretty steep, but you do get a lot of gear for the money. 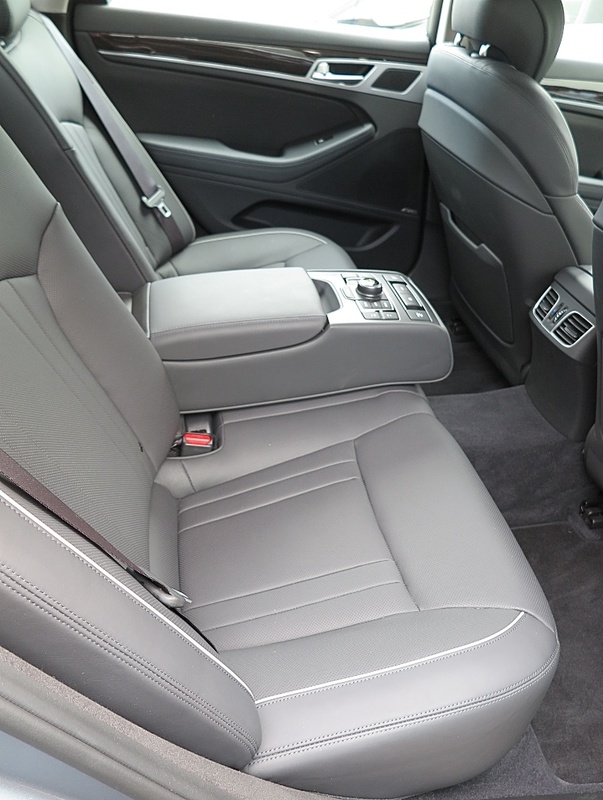 As a ‘limousine’ it’s great – quiet, powerful, luxurious and comfortable. However, the Hankook tyres are very sensitive to the road surface below them, and coarse tarmac increases road noise. 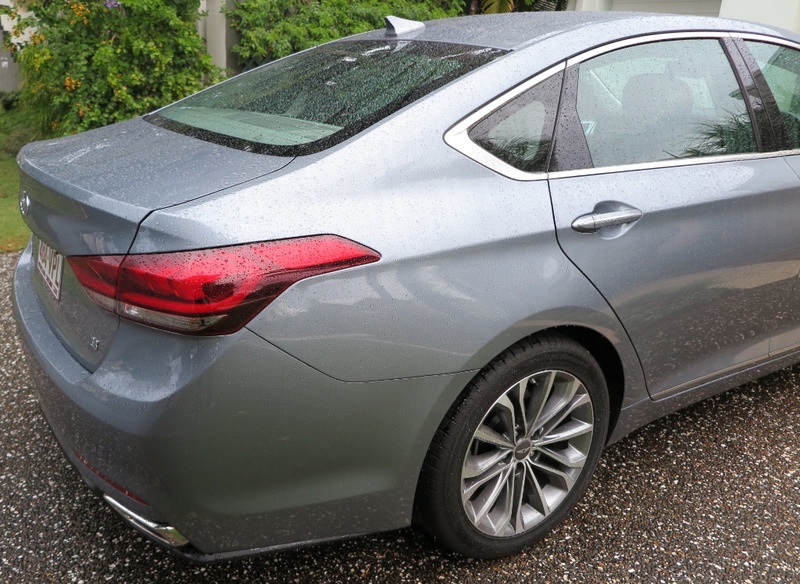 Hyundai says it benchmarked the original BH concept Genesis against BMW 530i, and one US writer summed up the car by saying he thought it compared technically to a BMW 5 Series, with the space and luxury of a 7 Series, and the pricetag of a 3 Series! It has the required luxury accoutrements, but not a long line of historic predecessors. Hyundai approached the challenge from a different direction. It has tuned the technical items, and added loads of equipment, but nothing about it is lavish. Looking at US sales, which have climbed 16% this year, underplaying it may well be its main attraction. It's a 'quiet achiever'. The seats for example are covered in real leather, but the interior doesn’t smell like you walked into a Coach store. This year, though, Genesis has overtaken Cadillac and is closing rapidly on the key Europeans! 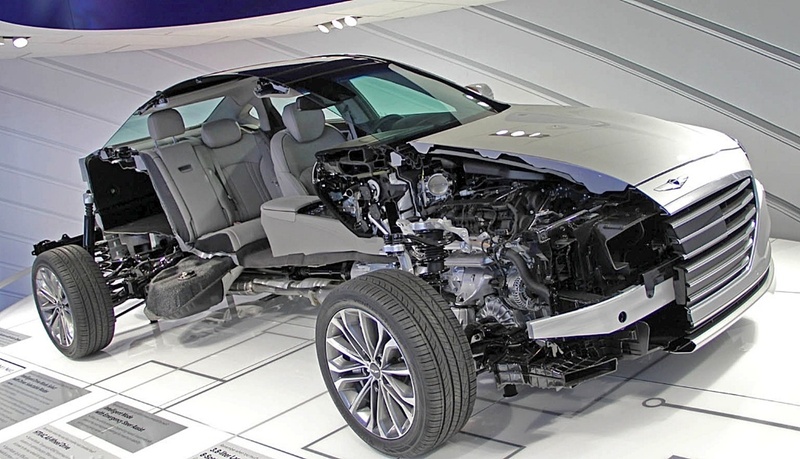 That would suggest that not only has this been a marketing exercise which has paid off, but it has also shifted buyers perceptions of Hyundai’s competence, and THAT is really important. The original BH Genesis concept debuted in New York in 2007, and I think the styling is showing its age. I certainly don’t think Peter Schreyer has passed his Pentel over the shape yet. Stand back when he does! I think the sense of understatement and confidence which Genesis represents is what appeals to me. 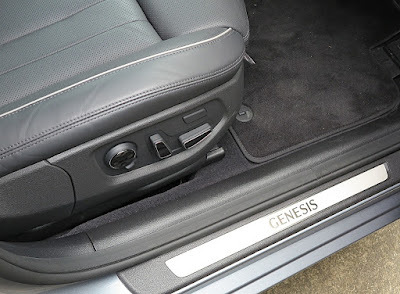 Get used to Genesis being part of the premium automotive landscape. It has all the credentials that should earn it a top spot in a luxury car buyer's list of choices.